Orjen is a Dinaric Mediterranean limestone mountain range in Montenegro and Bosnia and Herzegovina. At 1894 meter (6225 ft), Zubački kabao is the highest peak in the subadriatic Dinarides. The massif of Orjen lies to the northwest of Risan in the Boka Kotorska. From the town of Risan, situated at the innermost protected part of the bay, a well-engineered road, at first metaled, with many hairpin bends climbs to about 1600 meter, over to the interior. At the main summit of Orjen and the surrounding ridges and high plateau the action of quaternary glaciation is evident. In Ice Age long valley glaciers receded from Orjen to the Boka Kotorska and surrounding poljes. Hollowing U-shaped valleys and cirques in their course. Glaciers also shaped jagged peaks and ridges. Glacial and karst type relief combine now in a unique coastal scenery. Elsewhere in the Mediterranean, few places show similar phenomena. The Natural and Culturo-Historical Region of Kotor is a UNESCO World Heritage site, comprising the territory between Orjen and Lovćen, including all the small towns in the bays of Risan and Kotor with their natural setting. 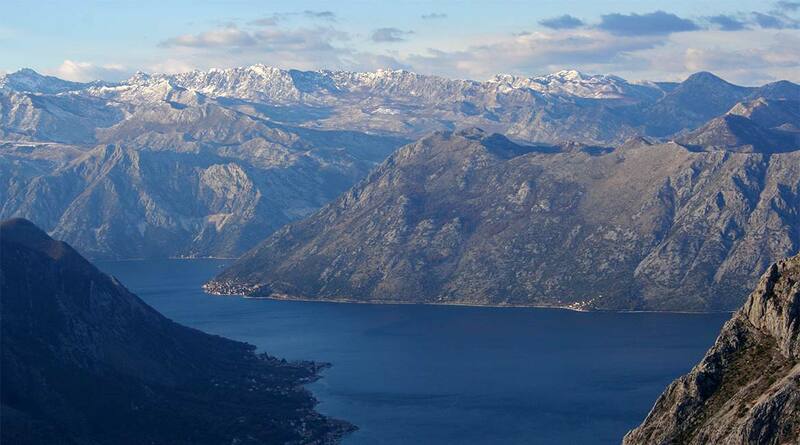 With this privileged natural harbour the Boka Kotorska has been settled for millennia. Illyrians and Greeks colonized the coast from 400 BC and established today’s ports Risan (Rhizon) and Kotor (Cattaro). Due to lack of potable water, the high mountain was never densely populated. Snow patches collected from deep pit holes were used even late in the 20th century to provide the few hamlets with water. Today, wells are used instead. 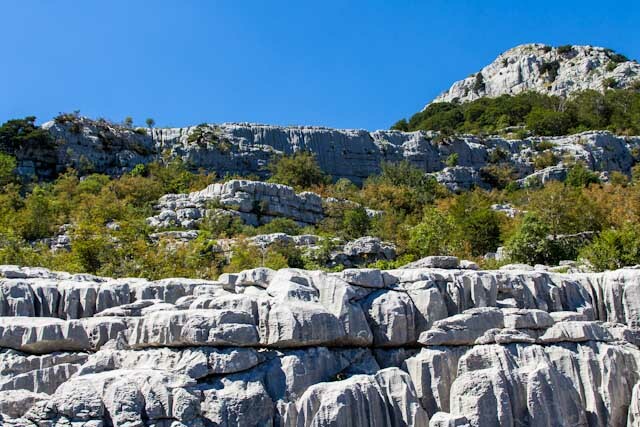 Mount Orjen is a block mountain lifted up as a horst and thus towering above the lowered Boka Kotorska and the high karst plateaus surrounding the mount Orjen horst. With 1894 meter difference between the lowest and the highest point, relief energy has a great role in the extremely harsh environment. 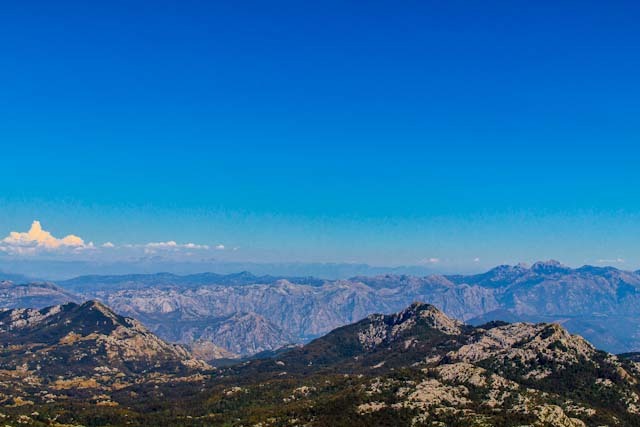 A hyperkarstic barren landscape of vast karren fields contrasts with very species rich vegetation types, ranging from evergreen deciduous forests at lower altitudes to endemic calcareous Dinaric Fir and Pine forests in higher altitudes. Precipitation reaches 5000 l per m², amounts typical for tropical rain-forests or the eastern Himalayas than the dry Mediterranean. Lying at Europe’s wettest coast, snow easily accumulates on karstic plateaus and as late as June small snow patches continue to lie in shaded places under the summits. Skiing is possible but no relevant infrastructures exist today. Orjen is a more important hiking destination. Three mountain huts provide basic accommodation. Orjen comprises an area of about 400 km² and runs for 25 km from Herzegovina in the west to Montenegro in the east. Mount Orjen is composed of four high karstic plateaus divided by ridges. Three near parallel ridges collide in Zubački kabao, Orjens’ culmination point. The ridges are arranged by elevation with the highest to the north screening the Bijela gora plateau from the Mediterranean coast. The separated plateaus are the Krivošije to the East, Bijela gora to the North, and Dobri do and Vrbanj to the West. Only few settlements are scattered in surrounding poljes. The poljes of Grahovo, Dragalj, Vrbanj, Krusevica and Grabalj are important for agricultural use and provide the only lines of communication in the karst. Migration circled around mount Orjen as a major obstacle between the coastal, Herceg Novi and Risan and the interior towns of Grahovo, Trebinje and Niksic. Mediterranean mountains bear no glaciers any more except small snow fields in some shaded cirques of the Taurus range. Even during the pleistocene snowlines were not much lower as in today’s Alps. 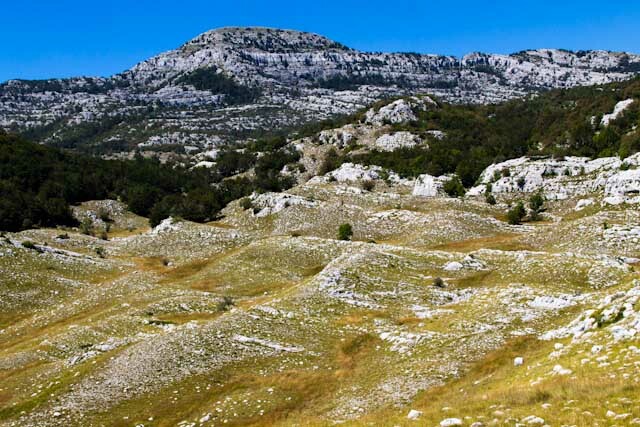 Glaciers were only of local significance in the Mediterranean enabling frost sensitive vegetation types to survive the climate changes of the Quaternary. Among the once glaciated Mediterranean mountains Orjen was outstanding for one of the biggest ice cap in the region. A 150 km² covered 1/3 of the area. All part above 900 meter were buried under a thick sheet of ice from where several glacial tonges descended to 500 meter above sea level. Traces of glacial activity are evident in any part of Orjen as in the Bijela gora plateau. No glacial lakes survive today as they were extinguished due to the porosity of the karstified landscape. Many cirques, U-shaped valleys and moraines and jagged ridges and summits bear the evidence of the glacial erosion. In stoneage and Bronze Age humans settled in the Orjen region. This early human activity is depicted by rock paintings of deerhunt and humans in Lipci in Risan bay. A major Bronze Age excavation site is at Popovo polje to the north of mount Orjen. Mount Orjen is built up from pure Cretaceous limestone. As precipitation and temperatures are high and vegetation is abundant karstification processes are evolved. Lapiez, sinkholes and caves resolve from the solution of the limestone. The solution process is the faster the more water is available for solution. Vegetation and soil formation play also a role in the process. A major disadvantage is that the water is percolating fast in the porous rocks and does not form brooks and rivers despite the heavy amounts of precipitation. An overall dryness is characteristic that is unsuitable for settling. Thus the region has been depopulated for a long time. Only during times of repression the unfavorable high mountains were mainly populated by Montenegrin tribes. During the time of the Ottoman rule from the 15th to the 19th century the high karst was acting as main shelter for the Christian population. Military campaigns of Turks and Austro-Hungarians faced heavy losses while both great powers underestimated the difficulties to undertake successful raids in karst areas. The battle of Vucji dol between Montenegrins and Turks and the Krivošije uprising in 1869 showed that the Montenegrins used the natural conditions in their favour. Karst is also a major tourist attraction as caves are frequent and peculiar geomorphological forms can be studied. Karst vegetation on the other hand is species rich and major karst areas are hot spots of biodiversity. Orjen is within the Mediterranean subtropical belt. While summers are hot and sunny, autumn, winter and spring are rainy seasons. It is the climate type of the Mediterranean but modifications exist in the vast region. A peculiarity of the littoral Dinarids is the precipitation regime as Orjen receives Europe’s’ most heavy precipitation. Like the monsoon rain is seasonally distributed, thus November thunderstorms sometimes pour 2000 l of water in several days, while August is frequently completely dry leading to forest fires. With a maximum discharge of 200 m³/s water one of the biggest karst springs, the Sopot spring, is a remarkable indicator of this seasonality. Most of the time it is inactive but after heavy rain a remarkable waterfall appears 20 meter above the Boka Kotorska. Two wind systems are noteworthy for their ecological significance: Bora and Sirocco. Strong cold down slope winds of Bora type appear in winter and are most severe in the Bay of Risan. Gusts reach 250 km/h and can lead to a significant fall of temperatures in several hours with freezing events problematic for most of the Mediterranean cultures. Bora weather situations are frequent and sailors keep an eye on the mountains as cap clouds indicate an imminent Bora event. Sirocco is a warm humid rain and is important as it brings heavy rain. It appears throughout the year but is usually centered in autumn and spring. A national Park was planned for a long time on Orjen. The disintegration of Yugoslavia, civil war and standstill of tourism cancelled plans. Today plans a rejuvenated but funding maybe a problem. UNESCO declared the Natural and Culturo-Historical Region of Kotor a World Heritage site. The part of Orjen within the boundaries of this Site is namely the Krivosije plateau. A further evaluation of the patrimony and nomination of a greater part of Orjen as national park has good reasons. Unique flora, fauna and relief certainly require a protection plan by administrative action. The earliest historic confirmations are the Lipci rock paintings which are dated in the Bronze Age. The first historic significant events are connected with the Illyrians when Queen Teuta, reigned approximately from 231 BC to 228 BC choose Risan as her capital during her war against the Romans. The Greek also colonised the region and eventually the Romans took over. The classical name of the Boka Kotorska is after Rhizon (Risan) Sinus Rhizonicus. Eventually Kotor was becoming more important during the Middle Ages. Only few traditional shepherds live today on Orjen. Mostly remain on the northern side of the Bijela gora. They have their local songs describing live on the remote mountain and every year in July a great feast takes place when all the shepherds from Bijela gora come together to sing dance and eat on a pasture at Ledenik. Livestock is mostly sheep but also horses and few cattle are held. At Orjen saddle oxes graze. In former times nomadic migration took place between the poljes and the higher regions of Orjen. The traditional housing on Orjen is the so-called Koliba. Small limestone huts with roofs build of pine bark. Only few hamlets are inhabited, mostly close to the coast. The higher up the stronger the push factors acted to leave. Tribes on Orjen were once renowned for their wildness and still people from the coast have this notion towards the mountain tribes. 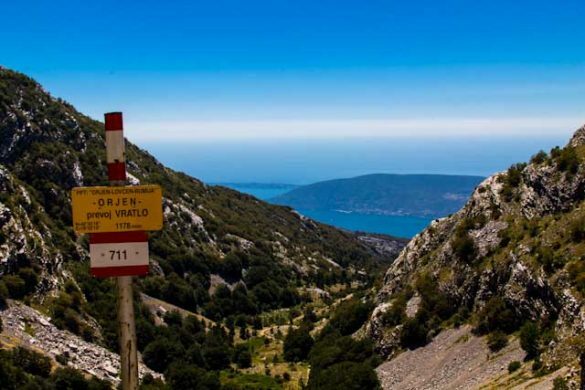 Trails are maintained by the PSD Subra mountaineering association from Herceg Novi. Most trails are around the huts at Vratlo (1160 meter) and Orjen ridge (1594 meter). 40 km of marked trails exist in the Mount Orjen region, leading to the most attractive destinations. Marked trails start at the city bus station at Herceg Novi (30 meter) and lead to the Vratlo hut (1160 meter). Hiking in other more remote parts is also possible but no marking currently exists. Visitors of Bijela gora or Dobri can use several local forest roads. sometimes shepherds can offer night accommodation. Water is only available at some places, shepherd villagers usually use rain collectors. Most hikers tend to visit Subra (1680 meter) or Zubacki kabo (1894 meter). Both are well marked. Brown bears appear in the Bijela gora and should not be disturbed as the population is critically endangered. Every year around mid May a half marathon called Orjen marathon is organised by the PSD Subra alpine organization. Guests are welcomed to take part in the traditional manifestation. 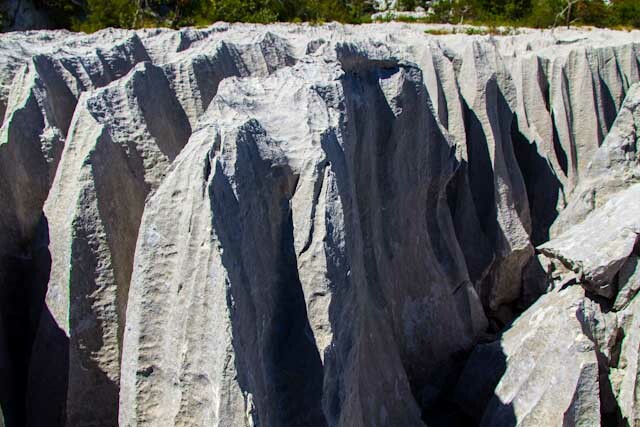 Several interesting alpine like climbing possibilities like rock climbing exist. Most remarkable is the 500 meter wall of the Subra amphitheatre. In last few years the alpine – speleo section (A.S.O.S.) of PSD Subra started to climb routes on mount Orjen. Good climbing routes are only 10 minutes walk from the Vratlo mountain hut. 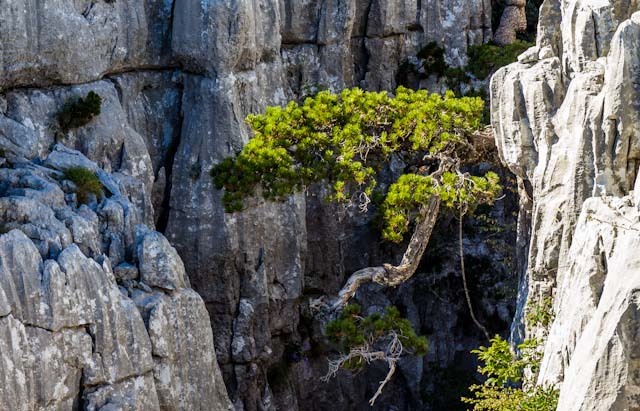 Other good climbing routes are in Subra’s Amphitheatre and Reovacka Greda rocks. Mount Orjen gives a lot opportunities for climbing unclimbed routes with various difficulties. A training rock near to the Herceg Novi – Trebinje road called “Silobod” (250 meter) is in use. No accommodation can be found in the mountains, except for the two mountain huts of Vratlo and Orjen Sedlo. But these are largely locked, and can only be opened on request by contacting the Subra Mountaineering Association in Herceg Novi. Most start their mountain hike from the village of Borici, but do not find accommodation here. In the following village Kameno there is a very small supply of accommodation. For a larger offer one is referred to Herceg Novi and its surroundings, where there is an abundance of accommodation. Holiday Home Tripkovic – Situated in Herceg-Novi in the Herceg Novi County region, Holiday Home Tripkovic features a terrace. The accommodation has free WiFi. The property includes a living room with a TV. The kitchen comes with a dishwasher, an oven and a fridge and there is shower with free toiletries and a hair dryer. A continental breakfast is served every morning at the property. The holiday home offers a barbecue. Guests can also relax in the garden. Facilities : Free parking, Free Wi-Fi, BBQ Facilities, Balcony, Airport shuttle (surcharge), Pets allowed, Car hire, Sea view, Mountain view, Outdoor furniture, Grocery deliveries (Additional charge), Bicycle rental (additional charge), Hiking (Additional charge), Fishing (Additional charge). Vila Bella Vista – Vila Bella Vista is located in Podi close to Herceg-Novi. The accommodation has free WiFi. This villa has a living room and a fully equipped kitchen with a dishwasher and an oven. The air-conditioned villa also features a bathroom with a bidet. The villa offers a seasonal outdoor pool. A terrace can be found at Vila Bella Vista, along with a garden. Facilities : Free Wi-Fi, Free parking, Outdoor furniture, Terrace, BBQ facilities, Garden, Swimming pool, Airport shuttle (additional charge), Minibar, Sea view, Mountain view, Tea/Coffee Maker, Grocery deliveries, Bicycle rental (additional charge), Car hire, Diving (Additional charge), Canoeing (Additional charge), Fishing (Additional charge), Garden.